Anna Maria Garthwaite was born in 1690 and became one of the leading pattern drawers in the English silk industry despite the likelihood that she did not receive the formal technical training usually considered necessary to take up such a profession. 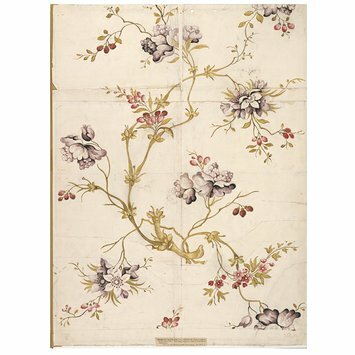 She produced as many as 80 commissioned designs a year, such as this one, for master weavers and mercers. She lived and worked in Spitalfields, London from about 1730 until her death in 1763. Her interest in natural form--and her talent for depicting it--characterized her designs throughout her professional life. 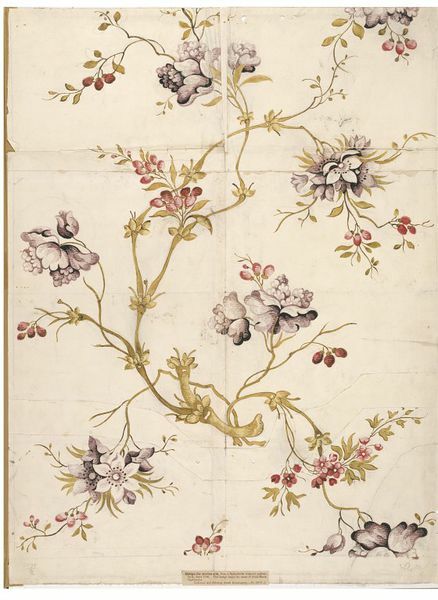 Design for a woven silk made by Anna Maria Garthwaite, Spitalfields, 1741. Rothstein, Natalie. 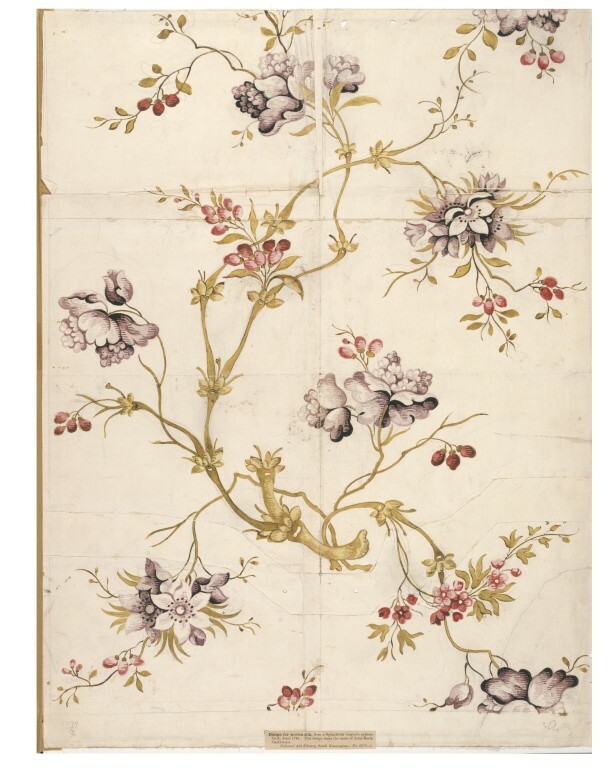 Silk Designs of the Eighteenth Century. London: Thames and Hudson Ltd, 1990. P351,. Ill. ISBN 0500235899.